We were essentially tasked with transforming a tired Historic building into a memorable destination hotel. Finding the building’s identity, after having endured several renovations, required some intensive historical fact-finding. The design brief was therefore developed from the hotel’s namesake, Lord Balfour, a highly influential, turn-of-the-century British statesman. We studied him, researched his writings, unearthed his lifelong accomplishments and distilled them into a modern-day portrayal of his character. In short, the project is not about who lord Balfour was in his time – the hotel is not a museum, nor is it a direct tribute to the man, but rather an extract of an emotion. The hotel is about our imaginary relationship with him, about our contrived understanding of his relationships, as if he were amongst us today. It is very personal, delving into a controversial personality in ways he himself might not have imagined. 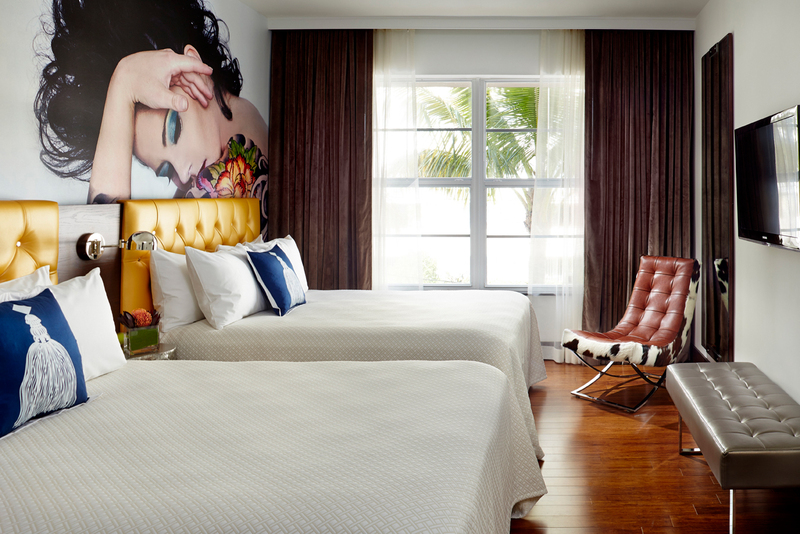 South Beach is known for its beauty, edginess and sensuality. We wanted to expose these traits. Our understanding is that LB was, himself, a man quite willing to go out on a limb, to explore the boundaries of societal convention. He was witty, vain and charismatic, and certainly not afraid of a little indulgence: “A good speech, like a woman’s skirt, should be long enough to cover the subject and short enough to create interest.” We brought that self indulgence and narcissism to the forefront, exposing it as it is, openly making fun of it while capitalizing in its spoils. The hotel is therefore a story, a story that evolves as the guest explores its spaces. In the lobby, for example, the bar wall is lined with a phalanx of butler’s hands holding silver hand mirrors – an ode to vanity, status and self indulgence. THE HOTEL IS THEREFORE A STORY, A STORY THAT EVOLVES AS THE GUEST EXPLORES ITS SPACES.